The Learning Studio Bug: Ready to Rock! 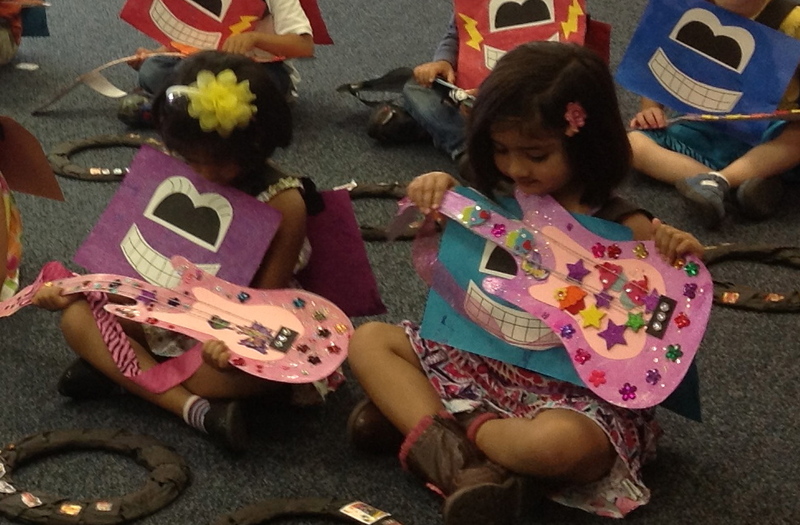 Here are our little Rockstars as they made ready for their rocking Cars Countdown Performance. They each made their own strumming guitars which our lovely Mrs. Quinn supplied complete with sparkly strings, shimmering gems and their choice of Disney's Cars Stickers Mania. I can't tell you just how much I love my Mrs. Q. She's quite a sparkly gem to work with! As our lil Li~Li would say ..."Me encantaron las guitaras de Mrs. Queeeeeeen!" We're so so proud of each of our little stage~goers. They Got The Beat! So let's Rock On! !